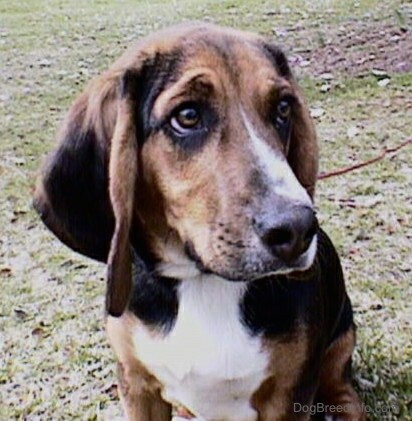 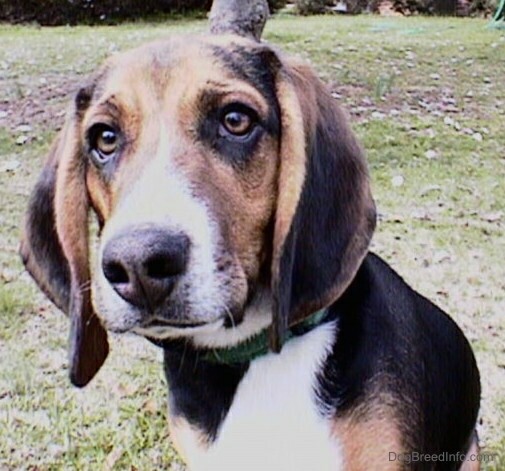 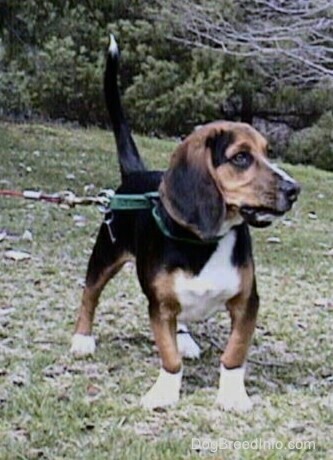 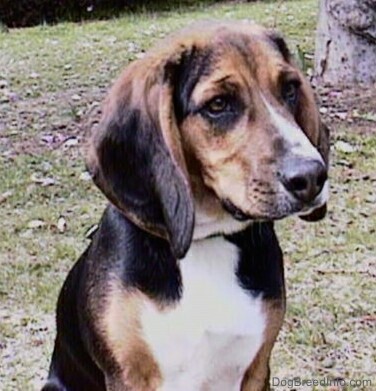 Chester the Beagle at 1 year old—"Chester is a purebred tricolor Beagle who was five months old when we got him. 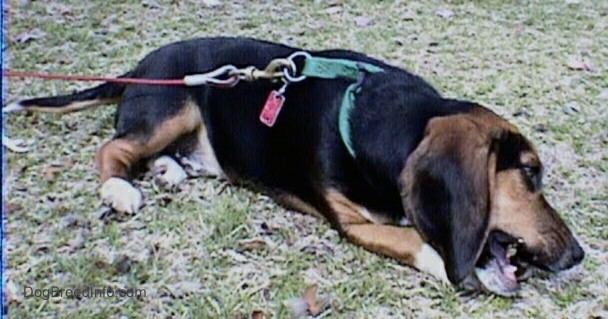 Before we brought him home he was not a pet and strictly a working dog but as you can see he adjusted to pet life pretty well. 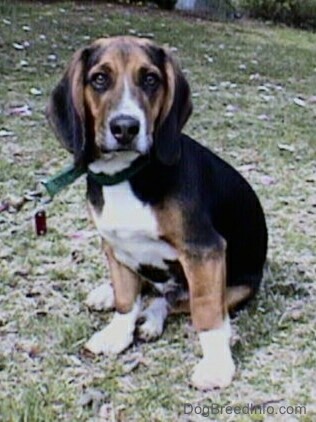 He's an excellent hunter and a playful pup, who loves to visit seniors homes and take up the whole bed. 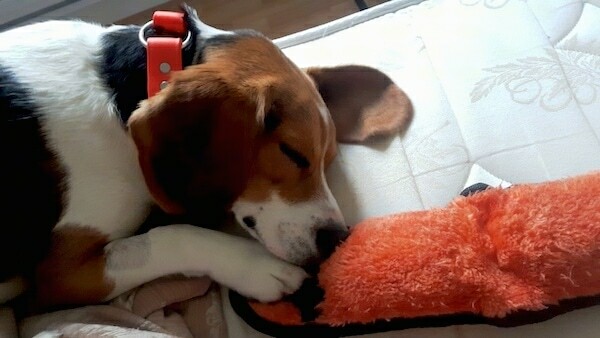 He was such a fast learner when it came to house-training, tricks, leashing and everything else; Beagles are very intelligent and easy to train if you use the right approach! 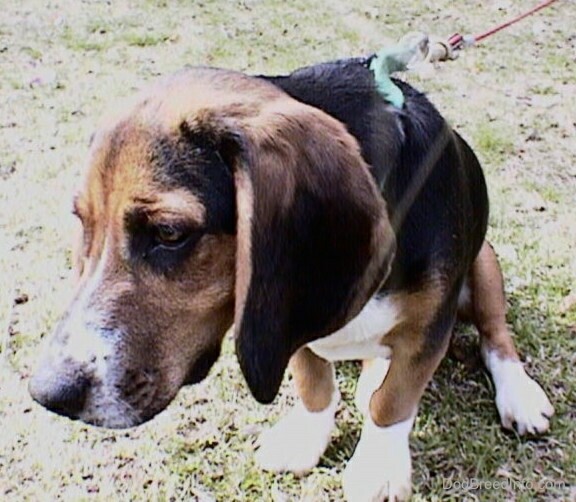 Bently the Beagle has bent front legs. 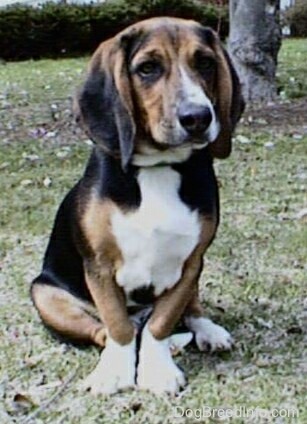 Bently the Beagle with crooked front legs. 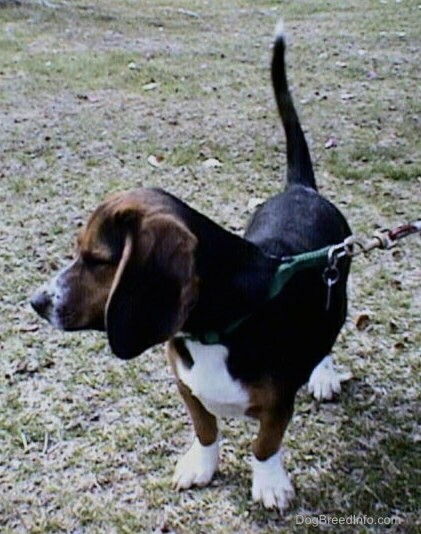 Bently the Beagle with bowed in front legs. 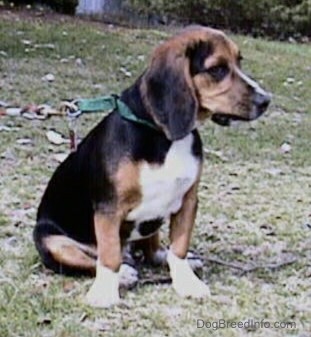 Beagles should be socialized with cats and other household animals when they are young to avoid possible problems later. 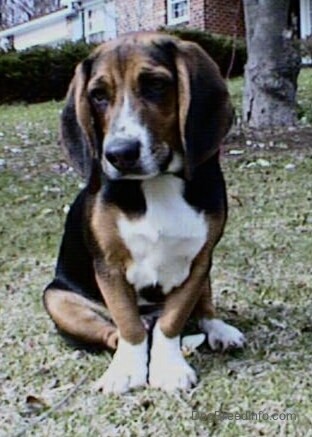 Bently the Beagle chewing on a bone.